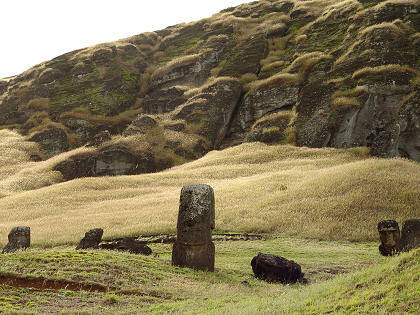 Several moai directly in front of the quarry on the side of the volcano. 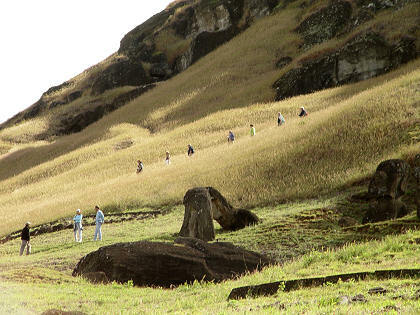 The people in the background are walking down a trail that explores the upper portion of the moai quarry. A seaward view from the moai quarry on the side of the volcano. 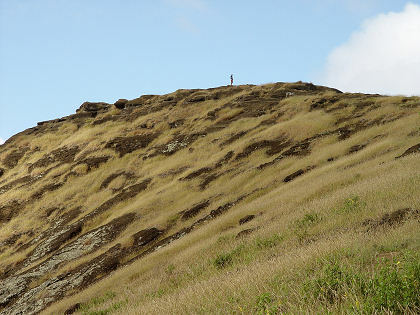 This part of the volcano slope was covered with tall grass that was swirling and swaying in the brisk wind. The clump of trees halfway to the coast is the location of the parking lot. 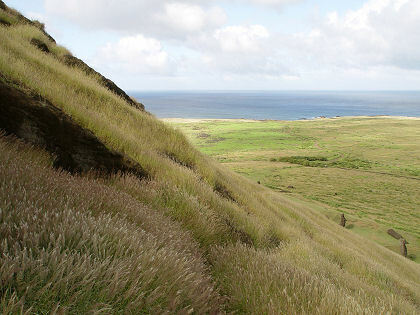 Looking along the southeast coast of the island, as seen from the side of Rano Raraku. The grove of trees in the foreground shelters a few buildings of a ranch. At the left side is the small volcano Maunga Toa Toa. 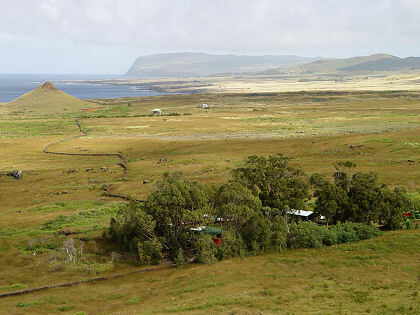 All the way in the background is the major volcano Rano Kau, sharply eroded on its southern flank. You can just make out a person standing at the apex of the volcano, atop the craggy cliffs. I took this picture from a low point on the eroded rim. 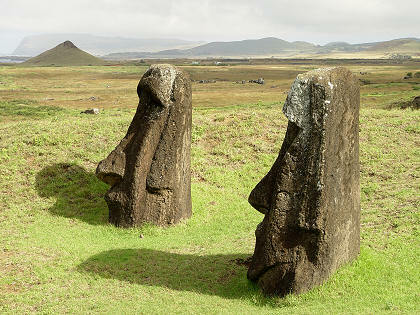 Two brooding, hulking moai.